Hello, and welcome to my website. I am a Melbourne based ceramic artist creating sculpture, murals, community art projects, commissioned works and residencies. 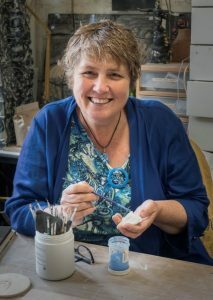 I am a passionate facilitator of creativity and have extensive experience working, teaching and running workshops with in communities, schools and with people of all ages and abilities. My involvement with so many varied and interesting projects constantly informs my work and leads me to develop in new and exciting directions. Within these pages you can find many examples of my work and my latest news. Photo courtesy Jim Weatherill from The Melbourne Camera Club. 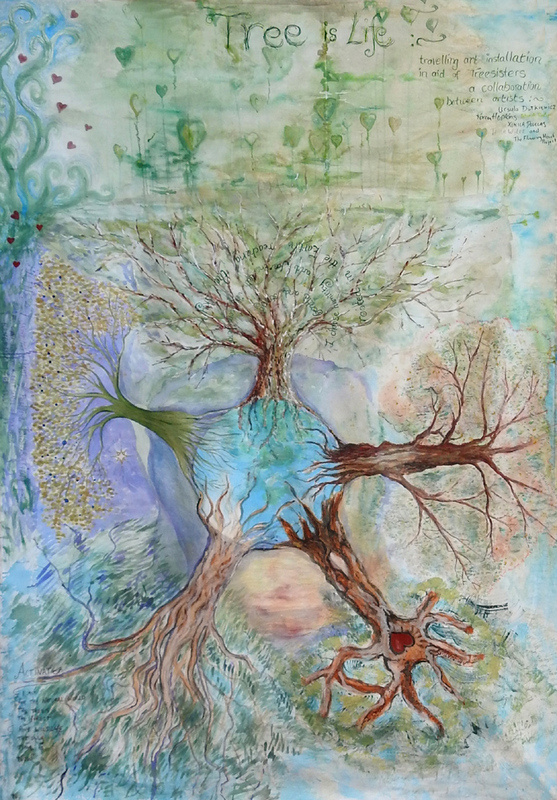 ‘Tree is Life’: traveling art installation in aid of TreeSisters, a collaborative art project by Ursula Dutkiewicz, Tessa Wylde, Karen Hopkins, Xenica Douglas, Deborah Punton and supported by The Flowering Heart Project. Green Hearts Grow Trees: It’s the little things that can change the world, ‘The Flowering Heart Project’ is doing it one heart at a time. When you purchase a heart you plant forty trees. Available at selected events, Gasworks ceramic studio, participating collaborators. I am a passionate TreeSisters which is a global network of women who donate monthly to fund the restoration of our tropical forests. It is a call to women to step up and share their gifts on behalf of the planet and nature. I occasional hold gatherings that include meditations and creative clay/ art activities and donate the proceeds towards their projects. 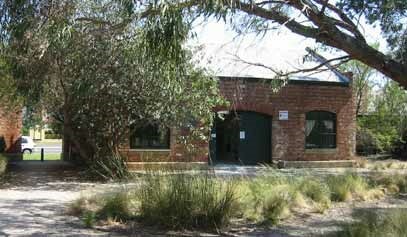 My studio is situated in the picturesque surrounds of the Gasworks Arts Park where I am currently a resident artist. The Gasworks website informs you all about its programs and events. As well as housing Artists’ Studios, there is a great café, galleries, a theatre and facilities for events and workshops. 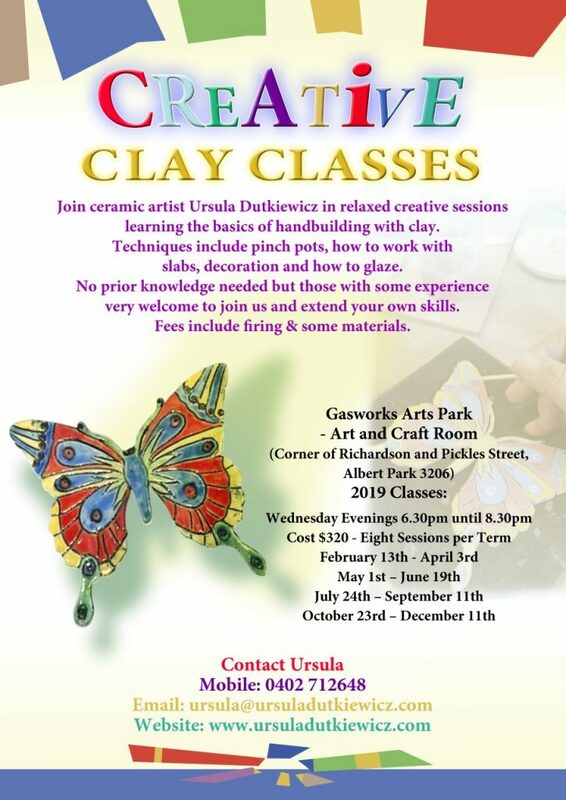 The Gasworks Ceramics Studio is located at: 54 Pickles Street, Albert Park, Melbourne, Victoria, Australia 3020. Please contact me first to find out if I am around before visiting as I could be out working on a project. The studio is open to the public at the Farmers Market on the third Saturday of each month from 10 am till 1 pm or by Appointment.